In many African and Asian countries women still lack proper access to education, economic participation and equal opportunity. 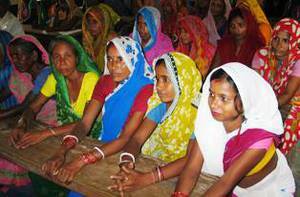 It is common sense nowadays that the empowerment of women is the key to development of a community. When addressing human rights the empowerment of women is one of the main concerns as well. 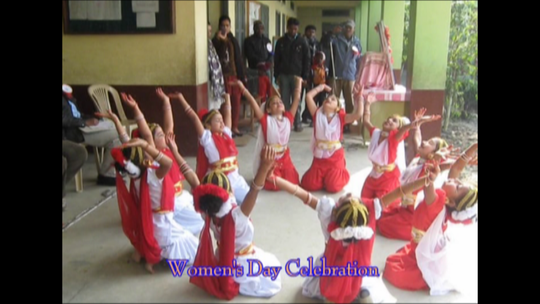 For video impressions on Don Bosco Women Empowerment activities in Sirsia / Nepal, click the picture above. The better educated women are, the fewer children they have and the better can they look after them. Very often women cannot rely on their husband’s income. But money they earn by themselves is directly benefitting the family. Micro-credit schemes take into account that women are reliable clients and sensible entrepreneurs if they are given a chance. Therefore all kinds of development programmes point to empowerment and participation as a necessary step if a country is to overcome the obstacles associated with poverty and lack of development. Often, in many non-agricultural activities, it is the man who holds the important roles, who runs the business of decision taking and management. This shows that women still encounter great difficulties on their way to gender equality. Often they are hindered by their traditional roles in society, which often are those of mother and wife that leave them with the keeping of the household, the children. This way it is difficult for women to leave the house to participate in our seminars or other activities. On the level of the communities women constitute the grand majority of participants in production of horticulture. Which shows that this group is determined for success? 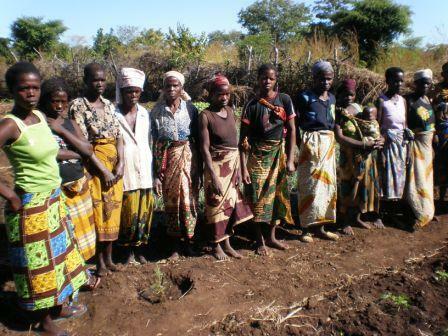 As a result of the program's efforts we have met groups of extension workers who were led by women. 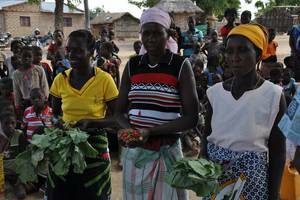 Also some families, who took part in the animal restocking program, are headed by women.